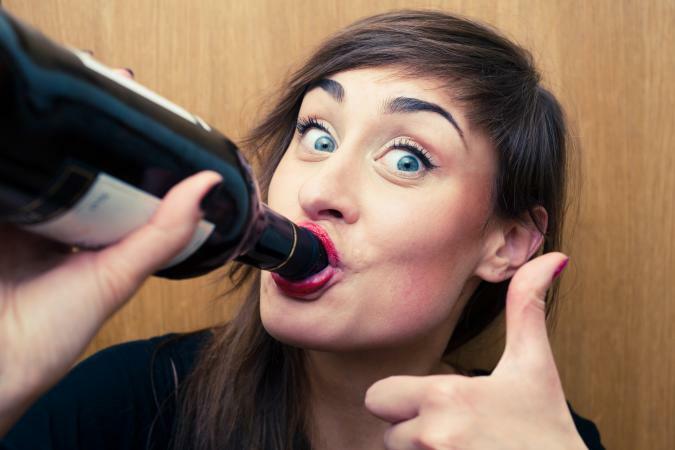 Does Red Wine Really Make You Feel Fine? If you dare to stand between us and our merlot, you risk aggravated assault. Just sayin'. UB40 was right extolling the fine feelings from that red, red wine. But before you think we've gone mad and are taking 80s pop songs as gospel... think again. Science says it's so (we sucked at science in school, but we love when it validates our life's choices). Warning: Grossness ahead! In two separate studies conducted in Belgium and the Netherlands researchers investigated the diversity of bacteria in our guts to find the best microbe to help with gut-related diseases. Thanks to 3,500 people's poop -- that's right, poop! -- researchers found red wine, along with coffee and chocolate, increased biodiversity of the gut (which is a good thing). So next time someone gives you the side-eye about your wine consumption, tell them you're soothing your upset and bloaty tummy. If you love red wine but avoid it because it stains your teeth leaving you looking like an extra from Twilight, then get ready to celebrate. A study at Pavia University in Italy found the chemicals in red wine can stop bacteria from sticking to teeth. But before you cancel your next dentist appointment and uncork that bottle of Pinto Noir you stare at longingly every night, there is some bad news. The scientists used wine stripped of its alcohol with extracted teeth in a petri dish. Of course, the good news is the discovery of the chemicals might help in fighting cavities in the future. Need some extra exercise motivation? 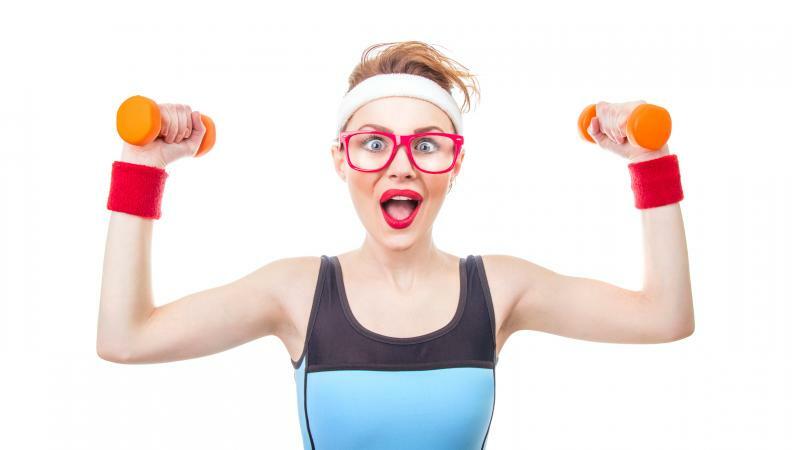 How about a little red wine with your workout? A study done at the University of Alberta found that the natural compound resveratrol in red wine enhances physical training and performance. Hey, who doesn't need a little boost? Plus wine is better (and tastier) than fat busting pills, thank-you-very-much. Get ready to throw away those anti-depressants and stock up on Shiraz (but please check with your doctor first, of course). In a study done by the University of Navarra as part of a larger report on the effects of the Mediterranean diet, researchers found people who drink between two and seven glasses of wine per week are less prone to depression. Whaaaaa? Who needs therapy? (Seriously, check with your doctor first.) That said, if you are a maudlin drunk, you might have a problem. Would you enjoy an elephant's memory as time inevitably marches on? (Hmm, and here we were thinking the whole point of drinking is to forget.) Georgetown University Medical Center researchers found that resveratrol can slow down the underlying processes that affect Alzheimer's disease. Of course, the study's participants took two grams of resveratrol per day. In case you are wondering, that's equal to about 1,000 bottles of red wine per day. We like a good bottle of Malbec as much as the next person, but this is excessive even by our standards. Broccoli, Brussels sprouts -- "Yum!" said no one ever. If you are like us and fight to get all your servings of daily greens, you'll appreciate this bit of news. The University of Bourgogne in Dijon investigated the effects of red wine on patients who had a heart attack. One lucky group got a glass of wine with lunch. The other group did not. They got water. During a two week period, the patients who drank wine had lowered levels of total and LDL (so-called bad) cholesterol. This proves two things. First, scientists are sadists. It's not bad enough some of the participants ended up in hospital, but they didn't even get wine?!? And second, yay for replacing fruits and vegetables with red wine. Why bother with a healthy diet when you can drink and get the same results? Talk about obvious but now it's confirmed by science! 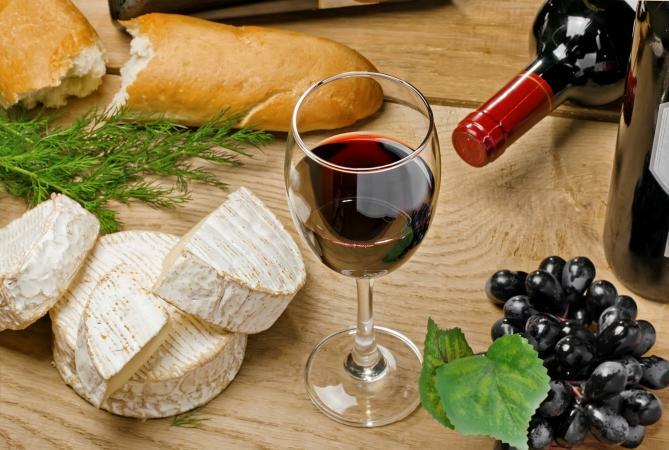 A study conducted by the Centre for Taste and Feeding Behavior in Dijon found that wine tastes better with cheese. It only proves what we long suspected -- everything tastes better with cheese. We are prepared to put up with a little flatulence for wine and cheese everyday... OK, a lot of flatulence. So this makes no sense. The University of Leicester's Department of Cancer Studies and Molecular Medicine published a study in the journal Science Translational Medicine that concluded resveratrol fights cancer even after the body metabolizes it. The bad news? According to health information officer for the Cancer Research U.K., Dr. Sarah Williams, "any benefits of the molecule do not come from drinking red wine. It's well established that drinking any alcohol, including red wine, increases the risk of developing cancer." But get this. Another study by the University of Leicester found that lower doses of resveratrol can prevent bowel cancer. It was given to two groups of bowel cancer prone mice. One group received the amount of resveratrol found in one large glass of red wine. The other group got a 200 times higher dose. The lower dose reduced tumors by 50%. Confused? Wine causes cancer, but it also prevents it? This calls for a glass of cabernet sauvignon while pondering this conundrum. Now for some bad news. At the Hospital Clinic of Barcelona, researchers had 67 men drink red wine, non-alcoholic red wine or gin for three randomized treatment periods at 4 weeks each (oh to be a part of the study where drinking is mandatory). Also all the participants suffered from one or more of the following: diabetes, high cholesterol, high blood pressure and obesity. The study found non-alcoholic red wine lowered the men's blood pressure, the risk for stroke and heart disease. The "normal" red wine, you know, the good one with the alcohol... didn't. Just like bloody scientists to go and ruin everything. Red, red wine -- we're gonna love you till we die, and that's no lie. Admit it, after a long day, a nice glass of red is nothing short of magic! Sure there might be some liver damage down the road but at least we'll be healthy and pickled to perfection.